You strike while the iron’s hot. And there’s no hotter iron right now than the crossover. Whether you want it in small, medium, large, extra small, extra large, or any size in between, consumers want crossovers, and carmakers are burning candles at both ends to meet demand. Enter the 2019 Chevrolet Blazer. While Chevy has had mixed success with the Blazer name (the last version was a rather undistinguished TrailBlazer soon after the turn of century), it is resurrected and attached to a design-forward midsize crossover. We drove one for a week to see if it meets the needs of our 4-member family. The test vehicle was a 2019 Chevrolet Blazer Premier equipped with all-wheel drive (AWD) and the Sun and Wheels package. The price came to $49,290, including the $1,195 destination charge. Before we discuss the results of our evaluation of the 2019 Chevrolet Blazer, it’s helpful to understand who buys midsize SUVs and what they like most and least about them. More than half of midsize SUV buyers are men (57%), median age is 55, and their median annual household income is $116,411. Baby Boomers (those born 1946-1964) account for 46% of all buyers, while 45% of buyers identify themselves as members of Gen X (1965-1976) or Gen Y (1977-1994). According to J.D. Power data, 58% of midsize SUV buyers prefer a vehicle from a domestic company, while 54% agree that fuel economy is a first consideration when choosing a vehicle. More than half (53%) agree that they will pay extra for a vehicle that is environmentally friendly, and 84% agree that they will pay extra to ensure their vehicle has all the latest safety features. Reliability is important to midsize SUV buyers, with 97% agreeing that it is a first consideration when choosing a vehicle. Along those same lines, 94% agree that quality of workmanship is a first consideration when choosing a vehicle, and 91% agree that they avoid vehicles they think will have high maintenance costs. Buyers say their favorite things about midsize SUVs are (in descending order) the exterior styling, driving dynamics, interior design, visibility and safety, and seats. Buyers indicate their least favorite things about midsize SUVs are (in descending order) the engine/transmission and the storage and space (in a tie), climate control system, infotainment system, and by a significant margin, fuel economy. Chevy appropriated the lookbook for its muscle car, the Camaro, utilizing its chief design characteristics for the front end of the new Blazer. Not that it’s a bad thing—in fact, the snout works well for the beefy crossover, melding naturally into the sculptured hood and flanks. This is a noticeable vehicle, and people commented favorably upon it throughout various parts of Southern California. Midsize SUV buyers cite exterior styling as the favorite aspect of their vehicle, and the Blazer is sure to attract new customers based on its looks alone. My test vehicle was equipped with the massive 21-in. aluminum wheels, which are included in a package with a panoramic sunroof. Choose this option and you’ll need to be very careful near curbs and pray for a debris-free path, because these wheels and tires are very expensive to replace. Chevy chose well when it came to the color scheme of the test Blazer’s cabin, dressing it in Maple Sugar leather. Thanks to its rich hue it contrasted well with the black dashboard, lending the Blazer an upscale flair. The silver trim running across the entirety of the dash and surrounding the infotainment screen may be too much bling for some people, but I liked it, as well as the thin, striped piped trim under it. You won’t have to look too hard to find some cost-cutting measures, though. The upper door panels offer no padding or give underneath your elbow, and glossy, hollow-sounding plastic is the norm the closer you get to the Blazer’s carpeting. Clearly, this helps Chevrolet to price a basic Blazer at around $30,000, but if you’re paying more like $50,000 for a Premier, this is a bit upsetting. Slip into the Blazer’s driver seat and you’ll find good cushioning and thigh support, with plenty of power adjustments to suit your preferences. 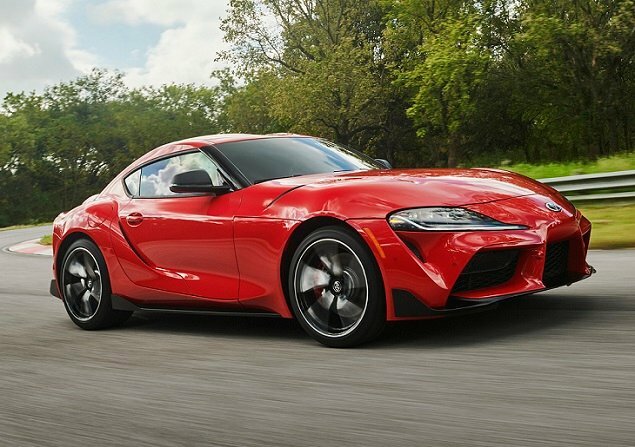 The front passenger seat also had power height adjustment, which is always worthy of praise, and both front seats were heated and ventilated. In back, two passengers will be comfortable with their accommodations, but putting a third adult back there will make them squirrely. The seats slide fore and aft, and they recline. The outboard seat cushions were heated, and the test vehicle had both a 120-volt electrical outlet and USB ports for rear occupants. It took me awhile to figure out where the temperature controls for the Blazer were. I poked around on the touch screen and pushed various buttons on the strip of controls above the air vents before figuring out that the temperature knobs are integrated into the rings surrounding the big, round vents. Seriously, these things are the size of a pickle jar cap. The other climate controls are buttons in a row above the vents. It may take a little while to get used to the layout, unless you’re familiar with the Camaro, which uses an identical setup. And even then, it can be hard to read some of the markings on the control strip. An 8-in. touch screen governs the Blazer’s infotainment system, which includes Apple CarPlay and Android Auto smartphone projection, OnStar subscription services preparation, and Wi-Fi hotspot capability. The system in my test vehicle was buggy, though, outright refusing to acknowledge input at times. Wearily, I turned to my trusted Siri to take over navigation duties when the Blazer’s system wouldn’t work. When you approach the Blazer in the dark, you’ll see a nice Chevy bowtie logo on the ground, behind the car and askew of the center. Wave your foot on it and the hatch opens to reveal 30.5 cu. ft. of luggage space behind the rear seat and 64.2 cu. ft. with the rear seats folded. 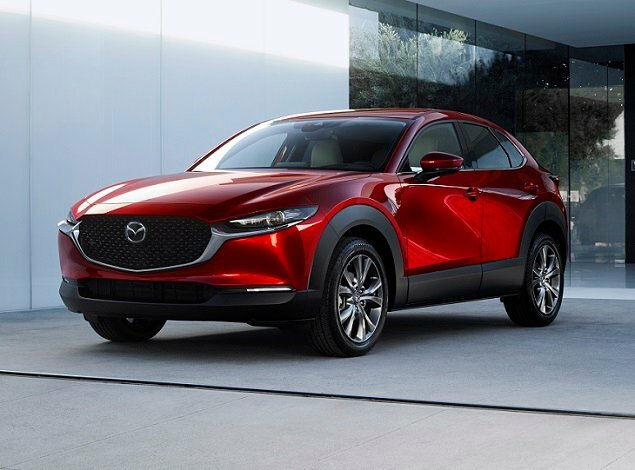 Those are numbers more in line with compact CUVs, rather than midsize models. My test vehicle was equipped with a cargo management system. This is a divider that slides on a pair of rails, and it will help you lasso loose equipment or grocery bags. It does, however, take up space in what is already a limited area. And when stowed in its furthest forward position, I could barely reach it to pull it forward. Around the cabin there are small bins and nooks to carry and organize your things. Both the glovebox and center console bin are a decent size, and the door panels include two-tier bins for added usefulness. Looking out from the driver’s seat, you get a commanding view of the road—provided you raise the seat high enough. Given its Camaro-inspired design, lots of people might actually sit low in this SUV, which makes it hard to see out. Visibility to the rear, however, is no good regardless of how you position the seat. Good thing the reversing camera and rear cross-traffic alert systems are so effective. Rather shockingly, my pricey Blazer Premier was not equipped with adaptive cruise control, automatic emergency braking, forward-collision warning, lane-departure warning, or lane-keeping assist. These are features that you’d find in most other vehicles in the class, sometimes as standard equipment. With the Blazer, you have to pony up for a higher trim level and then get a pricey option package in order to access these useful features. At least the Premier includes blind-spot monitoring. And all Blazers have a rear-seat reminder system for parents of young children, and Teen Driver technology for parents of older kids. 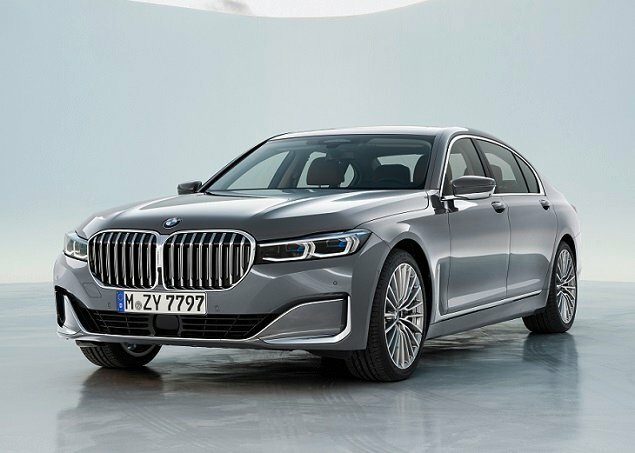 As this review was published, neither the National Highway Traffic Safety Administration (NHTSA) nor the Insurance Institute for Highway Safety (IIHS) had performed crash testing on this brand-new vehicle. Stirring my Blazer to life, the 3.6-liter V-6 engine is good for 308 horsepower and 270 lb.-ft. of torque. A 9-speed automatic transmission sends copious power to the AWD system, with lots of lively prancing at all stages of acceleration. The base engine for the Blazer is a 2.5-liter 4-cylinder making 193 horsepower. It wouldn’t be nearly as quick or enjoyable to drive, I would imagine. According to the EPA, a Blazer with the V-6 engine and AWD should average about 21 mpg in combined driving (18 city/25 highway). I got 19.8 mpg in highway-heavy driving; it falls short but only by a little bit. Because I don’t like stopping for fuel, I always prefer a big gas tank. At 21.7 gallons, the Blazer’s tank provides a conceivable 525-mile highway range. Ye olde Blazers of yore were rough-and-tumble off-roaders, but this iteration is perfectly content to stay on the asphalt, thank you very much. Think less along the lines of a trail blazer and more along the lines of a glen plaid blazer. Credit the MacPherson strut front and multi-link rear suspension setup to deliver a responsive and smooth ride around town. Those aforementioned mega-wheels may look cool, but you pay the price when it comes to ride quality. They add harshness to the ride and noise to the cabin. Those mega-wheels also made the Blazer quite impressive around the canyon corners comprising the scenic section of my test loop, burnishing the SUV’s sporty, Camaro-inspired exterior appearance. Its athleticism is more than just skin keep. Steering is a tad artificial and light, though. I appreciated this when turning into tight parking spaces, but at speed it feels over-boosted. 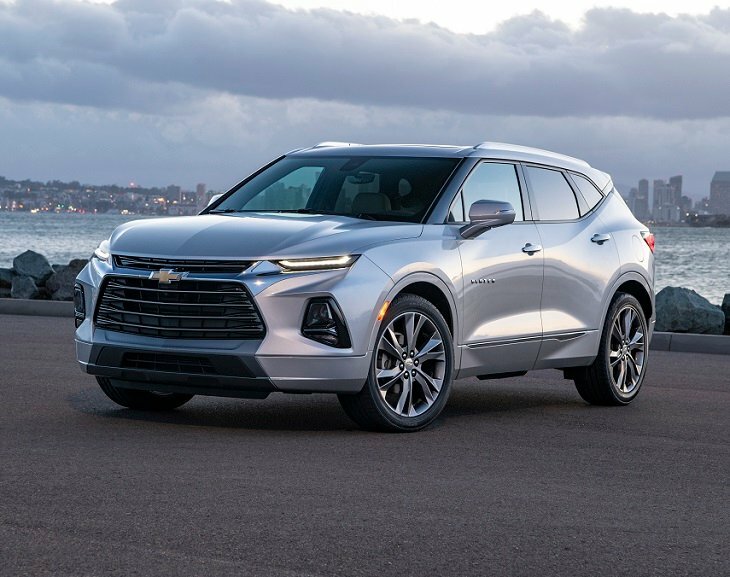 With its stylish design, upscale features, and fun-to-drive personality, the 2019 Chevrolet Blazer is an appealing addition to a crowded field of midsize 5-passenger crossover SUVs. But Chevrolet needs to work on its pricing strategy a bit, and perhaps add some additional features and value to be competitive with the most popular models in the segment.